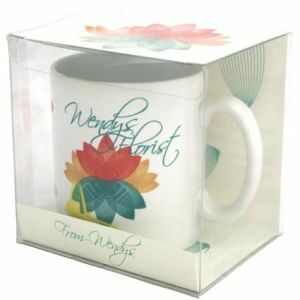 Promotional Poly Cube Mug Mailer, the most reliable and sturdy performer of all mug packaging. 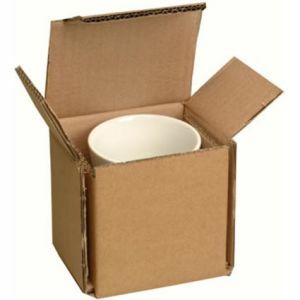 Designed to fit standard sized earthenware, in a purposely formed space and holds steady throughout its journey. Only available with mug orders purchased from Total Merchandise. Does not fit Marrow Mugs. Fits Cambridge, Sparta, Bell, Atlantic, Marlborough, Opal and Windsor Mugs only. 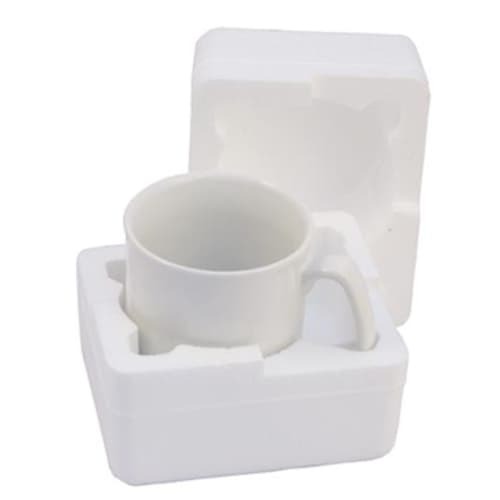 Two shell pieces fit snugly together to allow quick preparation for postage. Absorbs post and transit shocks with comfort and only crushes with the fiercest handling. 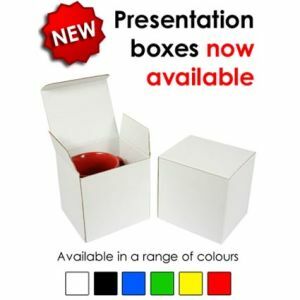 Weighs mere grams and so adds little to postage costs! Prices exclude VAT and Carriage!